Students enroll in our program to develop skills in using quantitative, statistical, and measurement models in applied research settings. Data science and quantitative analysis are some of the most modern and exciting professions available in our workforce. Consider a master's degree in Quantitative Methods (QM) from Vanderbilt University's Peabody College. You’ll work closely with Quantitative Methods faculty members to develop expertise in both the theory and application of quantitative analysis in behavioral, social, and educational sciences. Upon graduation, you’ll be equipped to apply research in school systems, health and medical settings, government and industry, dedicated research institutes, and other academic settings. The master’s degree in Quantitative Methods is a two-year program that culminates in a summer- or semester-long internship in which you provide design, measurement, and statistical support for a public or private organization in Nashville or the broader research community. You’ll be placed in an internship based on your quantitative methods skills and interests, using your training in research design, measurement, and statistical software skills. The Quantitative Methods program offers a biweekly colloquium series, featuring talks on various aspects of methodology. Speakers include faculty and graduate students within the program and from across the university, as well as occasional invited speakers from other institutions. Some weeks, there are professional development and journal club discussions. Program Directors: Shane Hutton, Ph.D., and Joe Rodgers, Ph.D.
* We will continue to accept applications after this date, but applications will be evaluated for admission and scholarships as space and funds are available. 100% of Quantitative Methods graduates were employed or attending graduate school within four months of graduation. In addition to required coursework, you’ll integrate quantitative research and theory with effective practice through an intensive internship. Through this experience, you will develop and contribute to research designs, measurement plans, sampling schemes, and data and statistical analysis. You’ll be placed in your internship based on your skills and interests. The internship takes place in an applied research setting, such as a school system, medical school research setting, testing company or policy institute. You’ll collaborate with, and be supervised by, a Vanderbilt faculty member throughout the process. On completing the internship, you’ll be required to write a research summary of your activity. You’ll also be required to give a short presentation to a program co-director and an additional faculty member. The summary and presentation must indicate research activity on which you worked, your specific contribution, analytic methods employed, software employed, and the products of the research activity. The conclusion should critically evaluate the contribution of the internship to your personal career goals. You’ll take two required core courses in Quantitative Methods during this 32-hour program, one required hour of seminar activity, one required hour of internship activity and eight additional courses, one of which may be a content course outside the Quantitative Methods program and one Quantitative Methods course outside of the Psychology and Human Development Department. You’ll be required to complete PSY-GS 8861 Statistical Inference and PSY-GS 8864 Experimental Design, the two-semester introductory statistics sequence. You must obtain at least two hours from the regular one-hour Quantitative Methods seminar series, PSY-GS 8855 Quant Methods Forum. You must enroll in one hour for the required internship during your last semester, PSY-PC 7982 Quantitative Methods Internship. 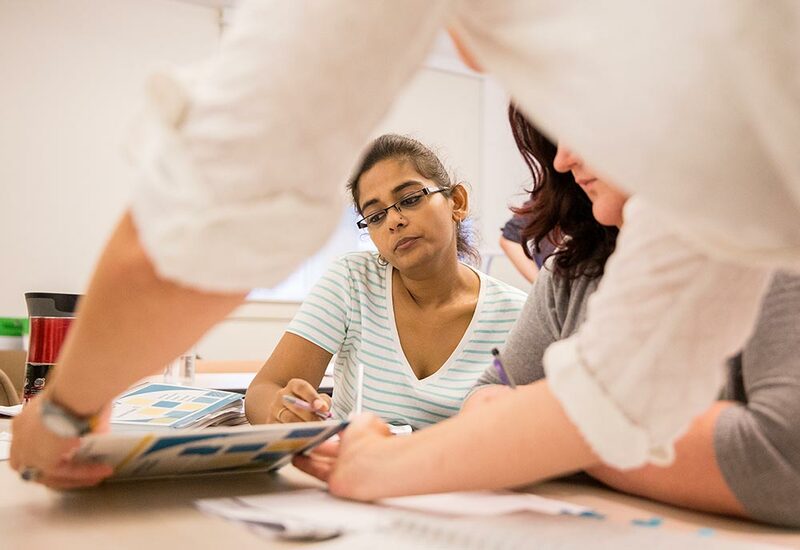 Of the eight 3-hour elective courses, one Quantitative Methods course can come from outside the Quantitative Methods program e.g., biostatistics, or other quantitative methods courses within Peabody. One course can be a content course from within the Psychology Department. The Quantitative Methods program maintains its own quantitative computer lab, and individual faculty also have labs and computing resources that support their research programs.